Microsoft System Center Operations Manager (SCOM) deployments have been on the rise in recent years mainly due to its tight integration with other Microsoft servers and applications in the enterprise. While SCOM has native support to monitor Microsoft infrastructures, there is no out-of-the-box support for non-Microsoft technologies, such as VMware, Oracle, Citrix, SAP, and so on. Therefore, IT administrators are forced to take up a multi-tool approach and rely on third-party tools, which leads to monitoring tool sprawl incurring increased costs and maintenance efforts. In this blog, we will look at the challenges involved in using multiple management packs with SCOM and explain how to make SCOM an end-to-end performance monitoring solution spanning Microsoft and non-Microsoft technologies. Organizations using SCOM typically rely on management packs developed by third-party vendors and integrate them into SCOM to extend SCOM’s monitoring capability beyond Microsoft workloads. While this is a widely practiced approach and there are many management packs out there in the market, the biggest challenge comes in when there is a heterogeneous environment to monitor – say, for example, you have an environment with Java web-based applications, VMware vSphere hypervisor, EMC SAN arrays, F5 load balancer, Oracle backend databases, and Citrix VDI. For each of these infrastructure tiers, Microsoft SCOM administrators would need to buy individual management packs from third-party vendors, deploy and manage them separately. These management packs would be used to monitor the non-Microsoft components, gather performance metrics, and send them over to SCOM. Ideally, SCOM administrators want to make SCOM a one-stop shop solution delivering centralized visibility of their entire environment. But despite the many management packs used, SCOM architecture does not allow for unified end-to-end monitoring. Every management pack would be managed as a separate folder in the SCOM console with little or no correlated visibility with one another or with the Microsoft tiers monitored by SCOM. 59% cite lack of visibility into non-Microsoft systems as their toughest challenge. Although Microsoft SCOM has built-in management packs for Microsoft applications (Active Directory, SQL server, Microsoft Exchange, IIS, etc.) and Windows servers, it has limited support for non-Microsoft servers and applications (e.g., Citrix XenApp and XenDesktop, VMware vSphere, SAP, Nutanix, etc.). 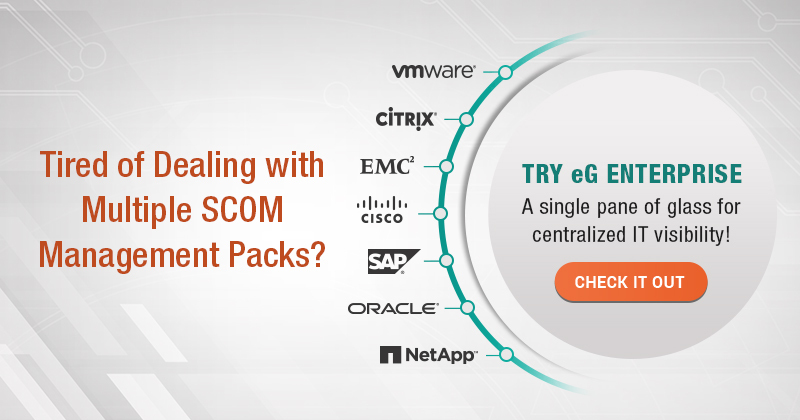 52% feel it is cumbersome to use SCOM with multiple management packs. The need for multiple management packs stems from the lack of support for non-Microsoft applications and platforms in SCOM. To monitor every tier of the IT infrastructure, users often need to purchase multiple management packs from different vendors – one for each non-Microsoft tier – and there is no integration between them. 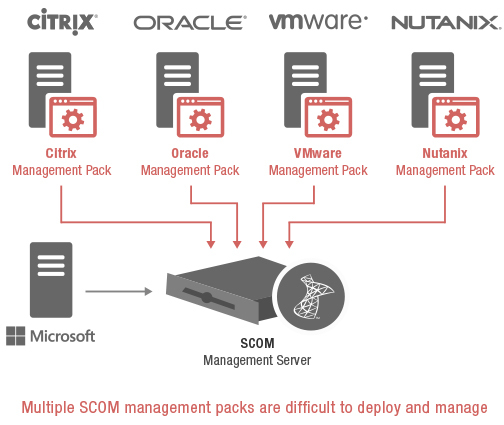 Instead of a multiple management pack approach, SCOM administrators should consider a universal management pack strategy, wherein they just use one management pack that has the capability to monitor all non-Microsoft tiers in their infrastructure. Combining the power of many management packs into one unified solution, SCOM administrators get access to health, availability and performance data from heterogeneous infrastructures and multi-vendor devices inside the SCOM console. One monitor to know it all: Universal management pack is a single, unified monitoring technology. So, there is no need to purchase, deploy and manage additional management packs from third-party vendors. 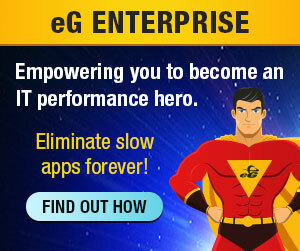 eG Enterprise’s native API integrations transforms SCOM from a Microsoft system data collection console into an integrated end-to-end performance diagnosis engine. One monitor to visualize the entire IT topology: It incorporates a unique infrastructure-wide unified management topology map that presents a correlated visualization of your heterogeneous environment on a single screen. With individual management packs, this is not possible. 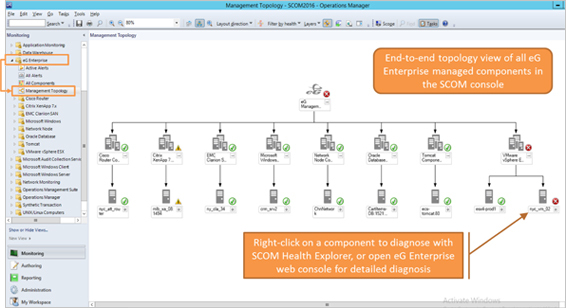 Problems can easily be identified from the topology and the SCOM administrator can zoom into the SCOM Health Explorer for further analysis. 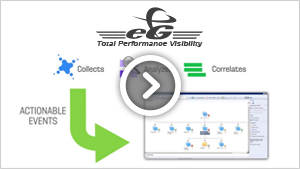 One monitor for centralized alerting and correlated visibility: It adds performance alerts to SCOM that not only indicate where problems exist but also automatically prioritizes alerts in the SCOM console, so you can see exactly how a bottleneck in one tier is impacting other tiers or the end-user experience. 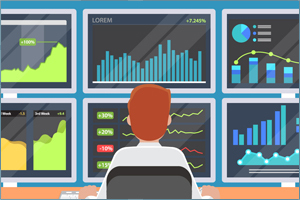 One monitor to optimize and right-size the infrastructure: It provides SCOM administrators many preset and custom reports from every part of their infrastructure, across all silos. Understanding all factors that impact performance leads to smart growth and maximum IT value. One monitor for deep-dive diagnostics: Easily drill down from SCOM into the eG Enterprise web console for deep-dive diagnostics about performance of a problematic application, server, or device. 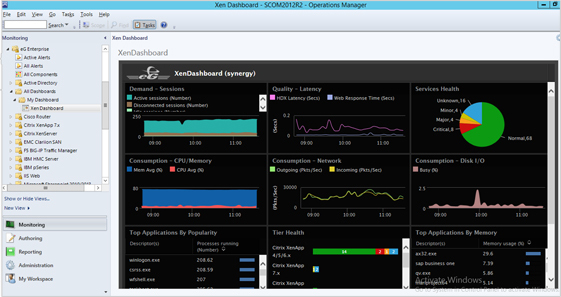 SCOM administrators can also publish customized monitoring dashboards in eG Enterprise as part of the SCOM console. Learn how to make #Microsoft #SCOM a truly end-to-end performance monitoring solution for both Microsoft and non-Microsoft infrastructures. With a multi-management pack strategy, gaining these capabilities would require a new siloed management pack for each new service/component and extensive manual intervention to perform event correlation and issue diagnosis. 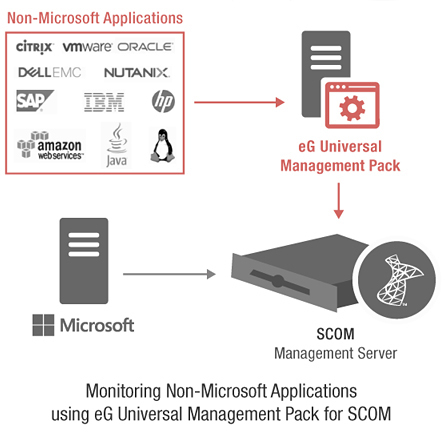 The eG Universal Management Pack transforms SCOM into a unified, end-to-end solution for understanding and managing all performance-impacting factors across your entire infrastructure, saving you time and allowing you to proactively solve issues before they affect your end users.